Justin is a seasoned and highly acclaimed speaker, writer, mentor, process designer and facilitator. 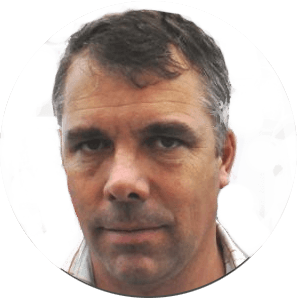 Inspired by the vast challenges and opportunities presented by South Africa in 2019, Justin brings to all his work unique levels of insight, passion and hope combined with award-winning concepts, solutions, strategies and skills. 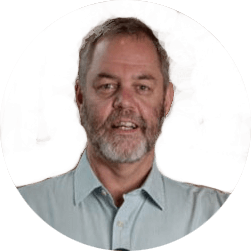 His work tackles complex business and social problems in a variety of settings: from classroom-to-boardroom; from urban-to-rural; from CEO-to-shop floor and from NGO’s and SMME’s-to-multi-national corporations. He works in close partnership with his clients to bring about social and leadership transformation, stakeholder engagement and deep culture change. THE ESSENCE OF JUSTIN’S WORK IS TO CAUSE INTENTIONAL, MEASURABLE AND PURPOSE-DRIVEN SHIFT IN INDIVIDUALS AND IN ORGANISATIONAL CULTURE; A SHIFT IN HOW WE THINK AND HENCE HOW WE SHOW UP MORE PRODUCTIVELY IN THE WORLD. THESE SHIFTS ARE IDENTIFIED IN CONSULTATION WITH CLIENTS. 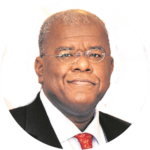 His clients include LafargeHolcim, Richards Bay Minerals, Multotec, Symphonia for South Africa, The Democracy Development Program, the Durban Chamber of Commerce and Industry, The London Business School and Imerys SA. Justin is also the founder and CEO of renowned the NGO, The Peace Agency. He was voted LeadSA’s 2014 Hero of the Year for KwaZulu-Natal and has been nominated for the South African of the Year Award. “Justin and I started working together in the middle of last year. My objective for bringing him into the company was to facilitate a process to make some fundamental cultural changes in our EXCO team and thus allow us to influence the entire organisational culture. His approach has resonated well with the EXCO team, and we have made huge progress at being more vulnerable and honest with each other. Questions of diversity and inclusion suddenly have become more real and relevant. We have got permission to tackle some of the sensitive aspects within the team before we get into crisis mode. His facilitation has given us permission to work on our blind spots and evolve our business to be a more a purposeful organisation. One of our holy cows of patriarchy and the paradigm of “power over” others is being questioned and challenged. "One of the most powerful things that Justin brings as a leadership development facilitator is his ability to listen and drive a process of self- discovery and learning. It is this power that really brings out the best in people. Justin has a wealth of experience and creativity in leadership development and design, paying careful attention to “how” others learn and not just “what they learn”. With all the clients he encounters he puts his whole self in, with the goal of serving the other and creating sustainable partnerships that drive positive change at all levels in the organisation. For Justin, his work in this space (whether it’s his writing, facilitating or designing) is part of a bigger purpose and dream to positively impact those around him and try to create a better world (even in a small way) for all of us."